Studies have shown that individuals with a moderate to severe iodine deficiency have an average IQ that is 13.5 points lower than others. 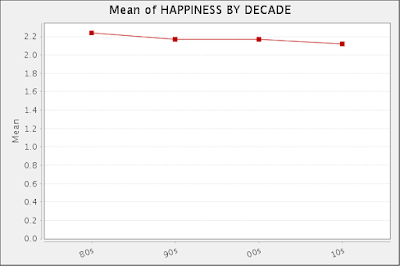 These studies, however, were only based on correlations or were quasi-experimental designs. 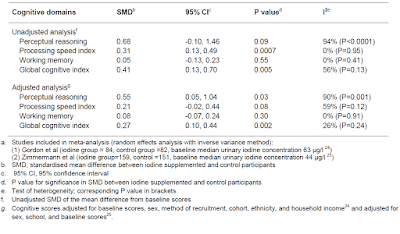 This meta-analysis located two random clinical studies that administered iodine supplementation to children who lived in areas (one study was in Albania, the other in New Zealand) with mild to moderate iodine deficiency. 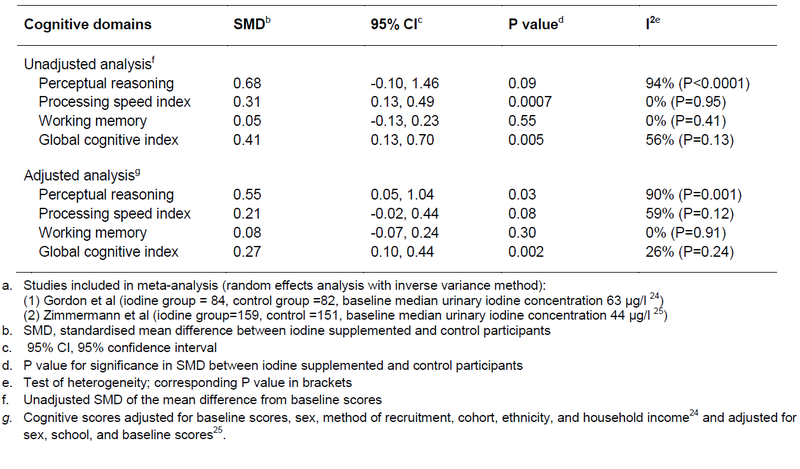 If we focus on the adjusted numbers, children who received the iodine supplement scored more than 1/2 standard deviation (sd) higher on perceptual reasoning (a moderate improvement) and more than a 1/4 of an sd higher on the global cognitive index (a noteworthy improvement). Two studies of less than 500 kids is not bad, but it would be nice to see more studies of this type and the experimental effects on kids when you give pregnant moms the iodine supplement. This type of research gets little attention from liberals because: 1) it recognizes the reality of intelligence, 2) it is biologically oriented, and 3) it is the type of intervention that is way too easy, inexpensive, and sensible.